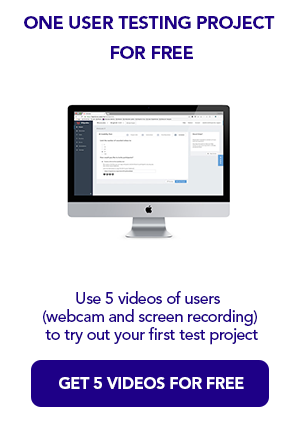 At UXprobe, we’re always working hard to bring you new features, based on your feedback, to improve the way you test. 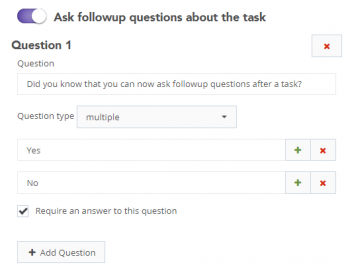 We’ve removed the limit of only asking one question after a task, allowing our users to decide how they want questions to be answered: right after a task is done or wait until the entire test is completed. 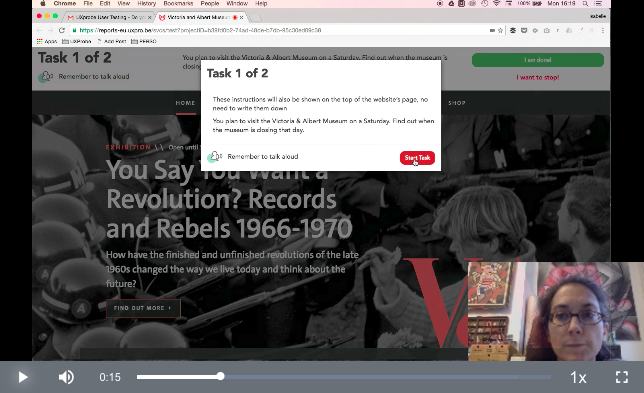 Both open and multiple choice questions are supported, just flip the switch and start asking! We’ve added new font options to our text editor, so you can display your task descriptions in a better way. 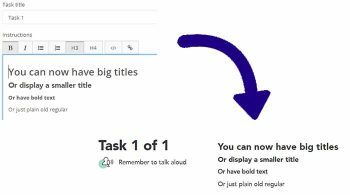 Add bigger titles, or smaller ones, you now have more tools to convey your tasks. Add bigger titles, or smaller ones, you now have more tools to convey your tasks! Browser bar or separate window? A separate window to the left will be opened with the task description, progress & completion/failure buttons if needed. Some of our customers noticed that their website was not working correctly when displayed with the UXprobe browser bar, which displays the task description, and the task completion (or failure) buttons. For the people experiencing this problem, we’ve now added the option to open our browser bar in a separate window, which improves compatibility without you having to change any website code. 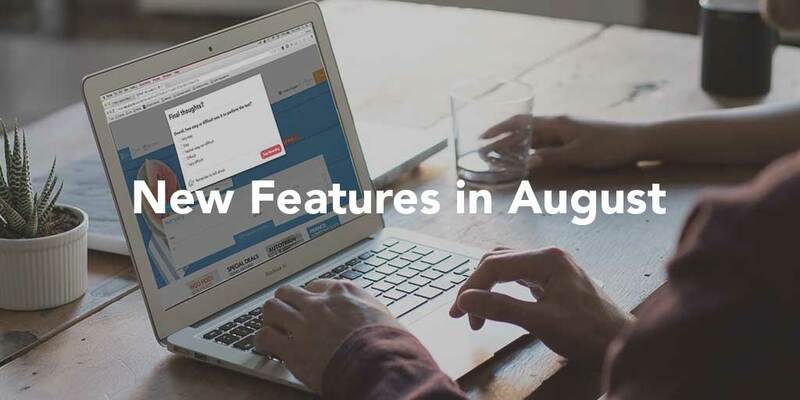 As was already announced in our July Feature update, we have now completed our latest effort to improve the overall reliability of the video recording. We know that it is very (very) frustrating for a session to have a failed recording or a recording that stops half way through the session. This is why we have made a big update to the subsystem that records our videos. Do you have an idea to improve UXprobe? Most of the ideas above came directly from one of our customers, so you too can have an impact on our product!